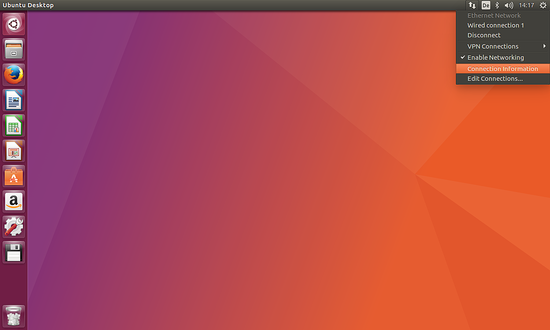 I have updated and tested this guide on an Ubuntu 17.04 (Zesty Zapus) desktop and Ubuntu 16.04 LTS. In the Desktop Sharing window, you can configure the remote desktop connection. If you want others to just see your desktop, but not be able to make changes, enable Allow other users to view your desktop only. If they should be able to change settings (e.g. repair your system if there are problems), enable Allow other users to control your desktop as well. There are various VNC clients available. The command that I use on other Linux clients to connect to your desktop is 'remmina'. Then there are the security settings. If someone connects to your desktop and you want to be able to block or allow that connection, enable Ask you for confirmation. This makes sense only if someone is actually sitting in front of the system. If you want to connect to your office desktop or any other sysem that only you have access to, then don't enable this option. That's it - the remote desktop can now be used! If you want to connect to your desktop from outside your network, you must use your router's public IP address (or get yourself a free hostname from dyndns.org pointing to your router's public IP address). Port 5900 (which is used by the remote desktop) must be open in the firewall, and your router must forward port 5900 to the Ubuntu desktop. Otherwise, you will get an error in RealVNC client about an incompatible encryption Mechanism. Then reboot the desktop PC to apply the changes. Thanks for the article! I found this works and on Kubuntu too! However, for those that don't want to set all these steps up, there are programs that let you do this without much tinkering. Among these remote control software bundles some are free (like CrossLoop) and others cost money but are typically more robus and more secure. I have already activated the remote desktop on PC - A, now i want to access the PC-A from PC-B, how do i do that. All the PCs here have Ubuntu installed on them. This simple HowTo is great. 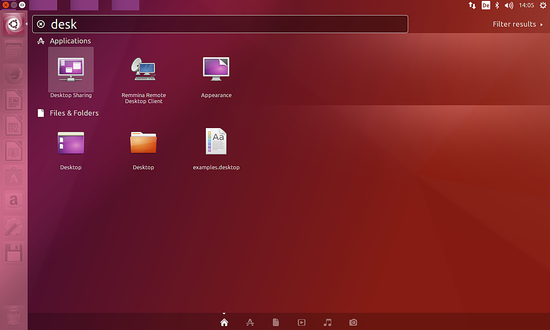 It is pretty straight forward and works super fast, the built in tools with (LinuxMint)Ubuntu are excellent. I check out your new post daily, HowtoForge is part of my iGoogle home page, so I see the headlines every day. Keep up the good work Falko! If you are looking for something that responds as fast as RDP for Windows does you may want to look into Nomachines NX product. Very responsive. However if you want to attach to the console it is only marginally faster than VNC. Then download and install the client on a remote machine (windows, linux whatever) and point the client to your server's IP on port 22. It should connect and startup a new X desktop for you. Keep in mind this is a NEW desktop. If you want to see the existing (console) desktop then you will need to change the "Desktop" config to "Shadow" however as I mention this is only marginally faster than VNC. Nomachine has been working on that feature to improve it. Any questions please ask in the forum. Thanks for this post. It was very easy to walk another person through the process over the phone using the guide and it I was able to get access within just a few minutes. Does not work ... after following these instructions, have not found any that work, including no machine's. Wasted hours typing in command lines and looking for solutions on the internet. Windows remote desktop is great ... the more I use linux the more I like windows ... well not vista. Thanks for this guide, really helped me. Im not a linux pro, so I use erd which is a JavaFX and browser based solution for this. It runs on Win and Linux (and maybee on OS-X too). 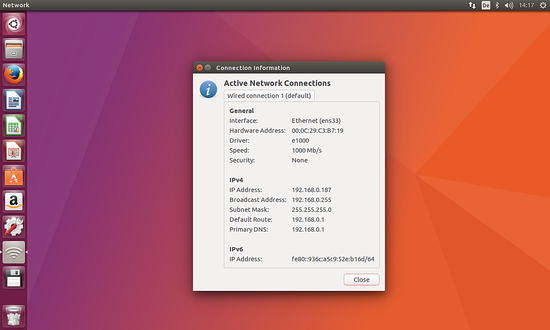 Just got this to work with Windows 7 64-bit viewing an Ubuntu 12.04 LTS 64-bit box. After using the extra commands given this worked nicely. Thanks for your help! I can't find remote desktop preferences. Using Ubuntu MATE 15.10. Nice article. Thanks for sharing. I'm gonna give it a try. Above mentioned steps seems to be complicated. Instead, you can use tools like logmein, R-HUB remote support servers etc. for remotely accessing computers from anywhere anytime. They work well. Useless. You installed server and clients, but forgot about installation of protocols e.g. RDP, VNC.